We partnered with Jeremyville on a special collaboration featuring the artist’s iconic Community Service Announcements reimagined for FEED. The products were creatively designed to inspire happiness and mindfulness, which of course we love. We've long admired Jeremyville for his creative approach to making the world a better place, so naturally, we were thrilled for the opportunity to collaborate with him and his team on this limited edition collection. To capture the feelings of happiness and harmony the products evoke, we decided to shoot on a sunny day in DUMBO Brooklyn, with some very cute guest appearances. Read on for some of our favorite moments from the day. Luckily for our model Alex, we were shooting around the corner from the DUMBO Shake Shack. One vanilla custard with sprinkles, please! 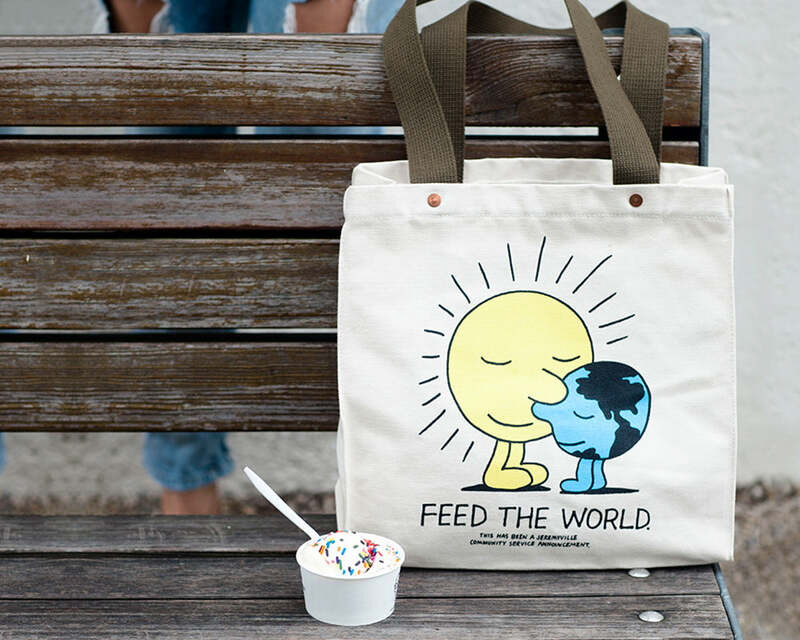 This tote may be the happiest bag to come out of the FEED HQ. It was so fun to work with Jeremyville to select a community service announcement that rang espeically true for our customers. How cute are these muchkins?! 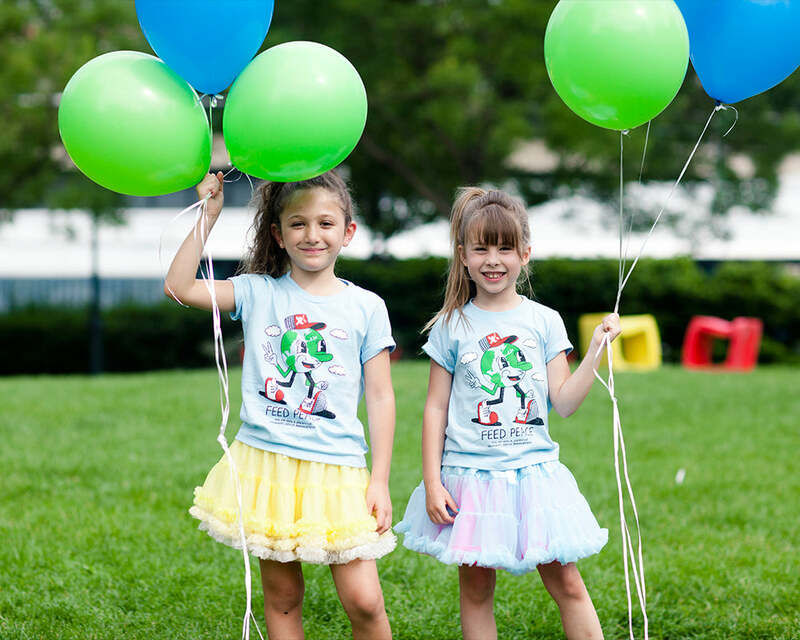 Nico (right), the daughter of our VP of Business Development, brought her BFF Grace to help model our children's tees. Balloons and confetti were in abundance.